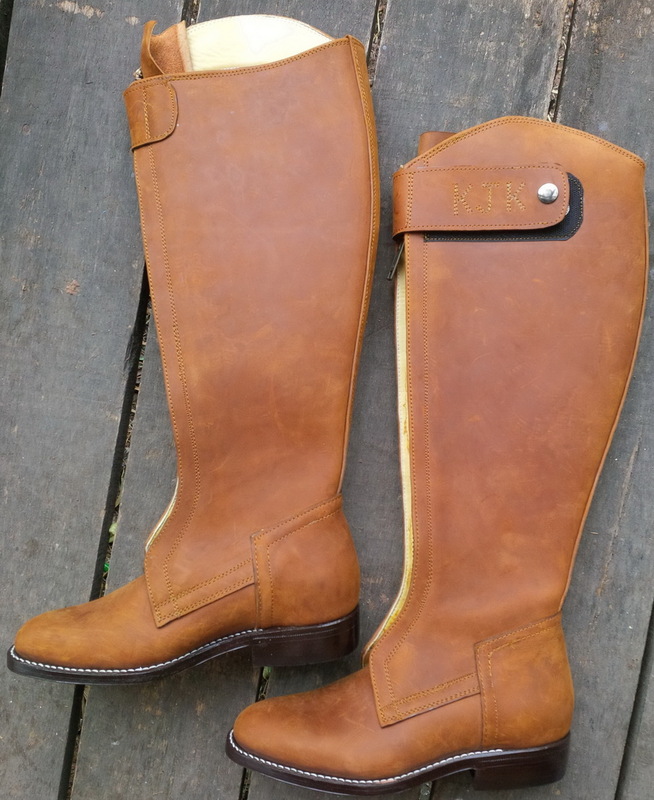 These polo boots were worn once and returned, because they did not fit perfectly. We present boots with details as follows: Boot# - Color - Leather - Style. Circumference of calf (the size around the thickest part of your calf). Boots shipped "as is" - Cost US$200 + Airmail Shipping US$70. Boots are returnable for a full refund of US$200. 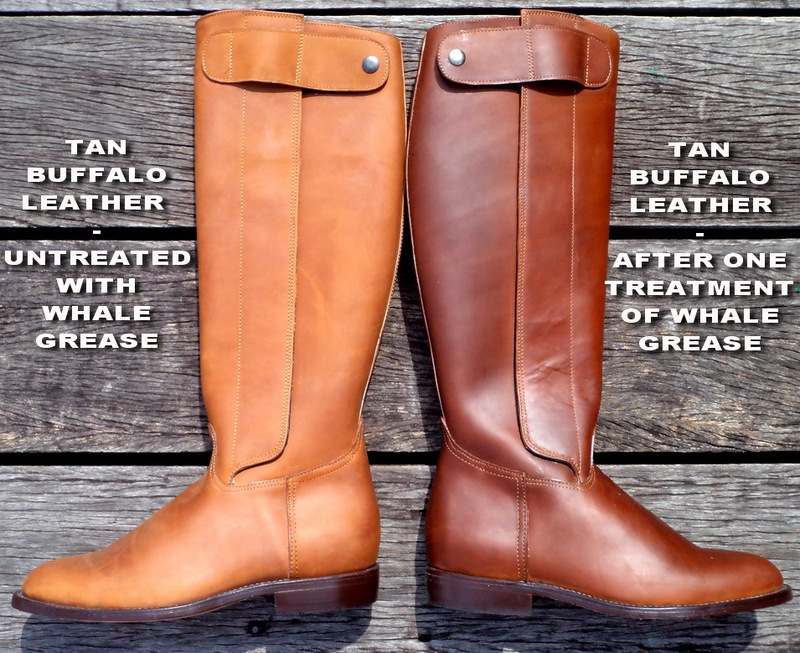 Length of Foot - 8"
Circumference of Calf - 13"
Inside height of Boot - 14.5"
Length of Foot - 9"
Inside height of Boot - 18.5"
Length of Foot - 8.5"
Circumference of Calf - 13.5"
Inside height of Boot - 16"
This boot is made with Tan Buffalo -- click here to see what the Tan Buffalo Leather looks like. Length to Ankle - 41"
Waist to Knee - 26"